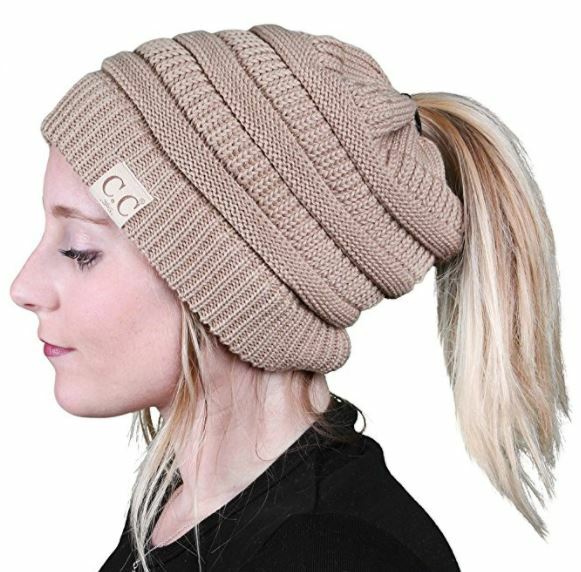 Check out these adorable Women's Ponytail Messy Bun Beanies on sale for as low as $12.09! There are several colors available prices range from 12.09 – $16.99 depending on the color and pattern that you choose. Note: the color pictured is the lowest price.